We’re looking for a proactive Project Manager to lead our team of three website designers, one copywriter and two SEO and Google ads specialists. Our team is growing quickly and we need someone to create and manage the systems that keep us all performing at our best. 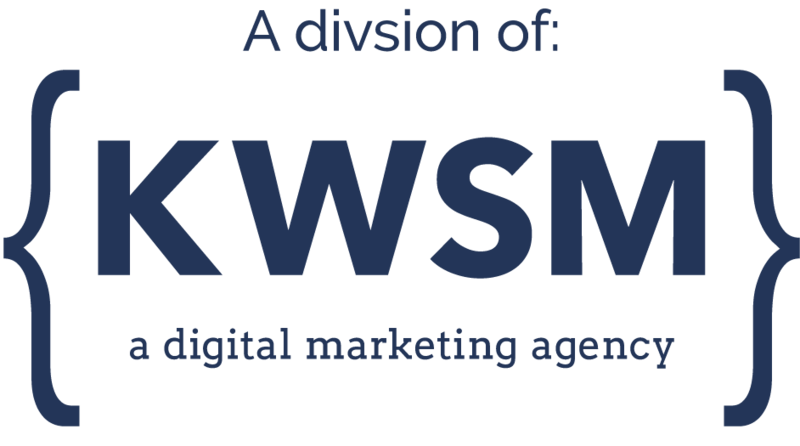 At KWSM, we create new websites and refresh existing websites for our clients. We are a full service digital marketing agency that believes that social media works best when we can drive traffic to a highly-functional hub. You will work with our account managers and our web team to create an outstanding online presence for each of our clients, ensuring that their website, digital advertising campaigns and social media channels are working together. You will manage the workflow as new website projects enter our system. You will be the main point of contact for our clients, help set their expectations, and handle all meetings and status updates. You will also manage the team of creatives tasked with completing the work. You must know how to motivate them, hold them accountable, and keep them working as a unit for maximum efficiency. In this role, you will be the liason between our web department and the clients we serve, and the driver of the process that gets projects completed on time and in line with our standard of excellence. It won’t be easy, but it will be rewarding. When you are doing your best work, you will make a difference for both the business owners we work with and the team that reports to you. As our Project Manager, you will build relationships with our clients, and ensure that the work we do for them is performed at the highest level. You will be accountable for improving our processes and ensuring results. You will manage the workflow, watching for problems and fixing them before they surface. You will spend a significant portion of your day on the phone and email: responding to client questions, keeping them updated on their project and requesting the information and materials we need. You will need to be knowledgable about websites in your own right – able to brainstorm with and mentor the team. You will also need to be a highly organized and motivated leader, as your role will put you in a management position, acting as a bridge between our President and the members of your department. You will work closely with our Managing Content Editor and our Director of Operations. In this role, you will be considered part of the KWSM management team and will have the opportunity to help shape the company as we grow. We're looking for someone who is loyal, patient, and cares deeply about giving clients exactly what they want and need. You must be able to prioritize a to-do list and meet deadlines without fail. Obviously, both your verbal and written communication skills should be outstanding. On a technical level, you will need to be familiar with Basecamp & Monday Project Management software, and love systems and processes as much as we do. You should have a solid understanding of WordPress, Google Analytics, SEO, and what good graphic design, photography and website copy looks like. Also helpful: basic comprehension of all major social media channels (Facebook, Twitter, LinkedIn, YouTube, Pinterest, Instagram). Previous project management experience is required; bonus points if you have worked in an agency environment before. Can you take a lengthy ‘to do’ list and prioritize what’s important? Can you multi-task when necessary, while continuing to perform well? Can you thrive in a bustling and interactive environment, and still get your work done? If so, you’ll fit right in! We are a quickly growing company, expanding in the fields of social media, web design and video production. We interface with dozens of companies at a time. You won’t be bored here, but you will need to keep your ducks in a row. At KWSM, we are relentless in the pursuit of the right answer. We dig deep to solve a client’s sticking point, and we do it with a smile on our face. Are you smooth when faced with a major dilemma? If you have accountability, flexibility, and a drive for results, we want someone like you on our team. We value our team culture. You can experience it on our Instagram account @KWSMteam.